Provide comfort for the family of Cecilio Torres with a meaningful gesture of sympathy. Cecilio P. Torres, 83, of Streamwood passed away on March 26, 2019. 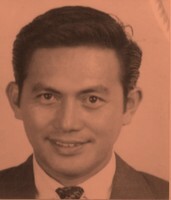 Cecilio was the beloved husband of Sue Torres (nee Lim); loving father of Jeff (Christine) and Jason; proud grandfather of Trevor and Brooklyn; cherished brother of Errol, Grace and Lily; and dear uncle to many nieces and nephews both in the USA and the Philippines. Cecilio enjoyed watching boxing, basketball, playing golf, working on crossword puzzles, trading stocks, and spending time with his grandchildren. 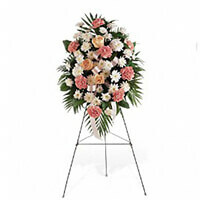 Visitation is Sunday, March 31, 3:00pm - 9:00pm, at Countryside Funeral Home and Crematory, 1640 Green Meadows Blvd. (at Barrington Road), Streamwood, IL 60107. The funeral is Monday 9:15am at the funeral home going to Church of the Holy Spirit in Schaumburg for Mass at 10:00am. Interment will follow at St. Michael the Archangel Cemetery in Palatine. For information, please call (630) 289-8054. We encourage you to share your most beloved memories of Cecilio here, so that the family and other loved ones can always see it. You can upload cherished photographs, or share your favorite stories, and can even comment on those shared by others. Dear Auntie Sue, Jeff and Jason: I’m so sorry for your loss. My thoughts and prayers are with you. I’ll always remember my Uncle Cecil for his boisterous laugh and smile. Chris Marquez purchased the Gentle Thoughts Spray for the family of Cecilio Torres. 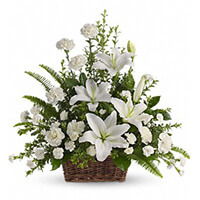 Littelfuse CVP Team purchased the Peaceful White Lilies Basket for the family of Cecilio Torres.